Gum disease is a serious problem and something that impacts the lives of many adults. Symptoms include red or swollen gums, loose and/or sensitive teeth, pain while chewing, tender or bleeding gums and longer appearing teeth meaning that the gums are receding. A periodontist or dental professional will be able to diagnose the condition and help you to find reasonable treatment options. These problems can be caused by a variety of things including neglect. If bacteria, food and other substances are left in the mouth for too long, it can form into plaque. In most cases, plaque can be removed by routine brushing and flossing. However, if neglected, that plaque can harden to form tartar which can only be removed by a cleaning from a dentist. If left untreated, conditions can get worse and require more invasive treatment options including surgery. Multiple treatment options: Whether you are dealing with heavy tartar or signs of gum disease have begun, we have experience utilizing dozens of treatment options that will help address the problem and remedy it. These options have been tested and utilized thousands of times and are proven to get the job done. Elite care: In most cases of gum disease, the true cause is neglect of one’s oral care. 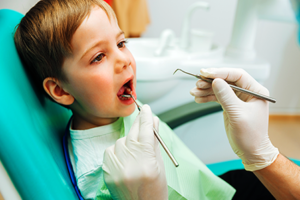 Millions of adults have a fear of visiting the dentist and that often leads to oral health problems down the road. To avoid this issue and to get patients in more often, we offer sedation dentistry treatment options that will ensure minimal discomfort and anxiety while the treatment is taking place. Preventative assistance: Because neglect is one of the leading causes of gum disease, we will work with you to show you the best products and methods you should incorporate that will protect your gums and mouth for years to come. This includes what type of toothbrush to use, how to brush your teeth, how often you should floss, what mouthwash actually kills bacteria and so forth. If you notice a problem with chronic bad breath, gum soreness and redness or other issues with your oral health, do not hesitate to call the Miami office of Dr. Julia Dison for immediate assistance. We have helped hundreds of patients avoid long-term issues with fast and effective care and we can do the same for you. If you are experiencing any of these symptoms, want to learn more about sedation dentistry or if you have any questions, we invite you to message us via our website or give us a call and one of our experienced team members will be happy to assist you.